Created another season of PR: Power Rangers Beast Morpher with current images of cast. 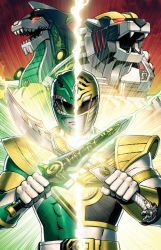 Image of Power Rangers in the background belong to Toei Company and each of cast images are credit to their own photographers. 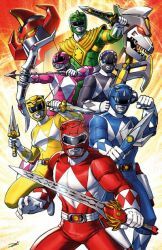 First Power Ranger team in Hasbro Era! I born in Boise, Idaho and become deaf when I was 4 weeks old. I attended public school in mainstream program and graduated in 2002. I attended at Utah Valley University and studied graphic designer and photography. 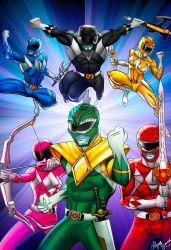 In my childhood, I was huge fan of Power Rangers and my favorite ranger was white MMPR rangers. 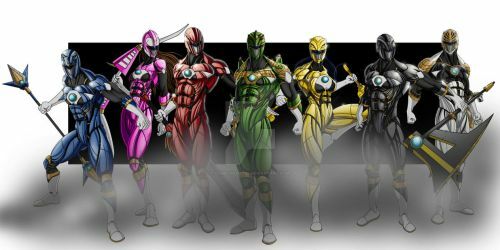 I started created many pictures of power rangrs, and still being fan of Power Rangers. As Zordon quoted: May power protect you alway! Happy Mighty Morphinomenal Birthday Scott! 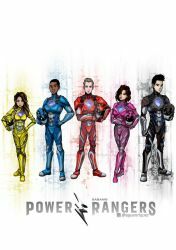 Hey Scott, can you do the Power Rangers Beast Morphers' fan made wallpaper next?! Saw it and love it!